CHARLOTTESVILLE, Va. — Archaeologists have excavated an area of Thomas Jefferson’s Monticello mansion that has astounded even the most experienced social scientists: The living quarters of Sally Hemings, the enslaved woman who, historians believe, gave birth to six of Jefferson’s children. Hemings’ living quarters was adjacent to Jefferson’s bedroom but she remains something of an enigma: there are only four known descriptions of her. Enslaved blacksmith Isaac Granger Jefferson recalled that Hemings was “mighty near white . . . very handsome, long straight hair down her back." Her room — 14 feet, 8 inches wide and 13 feet long — went unnoticed for decades. The space was converted into a men’s bathroom in 1941, considered by some as the final insult to Hemings’ legacy. By the late 1960s, Magruder said, the earlier bathrooms had become too small to accommodate Monticello’s growing number of visitors so local restoration architect Floyd Johnson renovated and enlarged the bathrooms in 1967. But recently, historians studied a description provided long ago by a grandson of Jefferson who placed Hemings’ room in the home’s South Wing. Fraser Neiman, director of archeology at Monticello, said Hemings’ quarters revealed the original brick hearth and fireplace, the brick structure for a stove and the original floors from the early 1800s. The Mountaintop Project is a multi-year, $35-million effort to restore Monticello as Jefferson knew it, and to tell the stories of the people — enslaved and free — who lived and worked on the 5,000-acre Virginia plantation. In an effort to bring transparency to the grounds' difficult past, there are tours that focus solely on the experiences of the enslaved people who lived and labored there, as well as a Hemings Family tour. Monticello unveiled the restoration of Mulberry Row in 2015, which includes the re-creation of two slave-related buildings, the “storehouse for iron” and the Hemings cabin. In May 2015, more than 100 descendants of enslaved families participated in a tree-planting ceremony to commemorate the new buildings. And today, Hemings’ room is being restored for eventual public viewing. 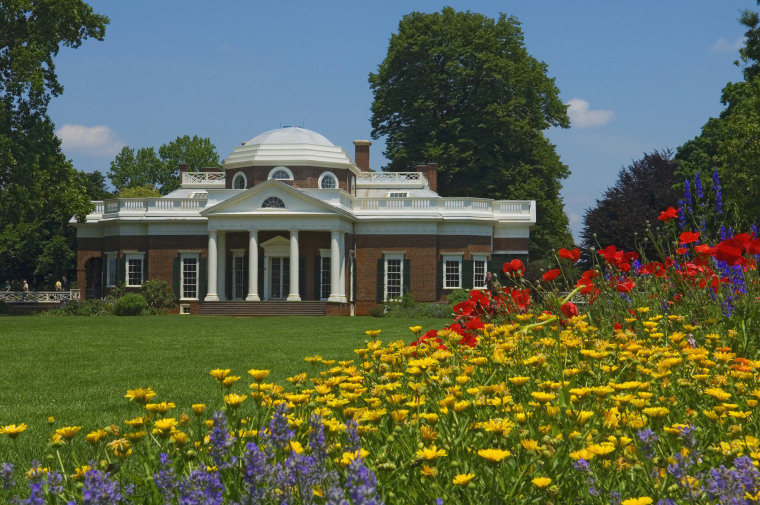 Monticello’s curators are working diligently to incorporate Hemings’ life as part of Jefferson’s comprehensive story, which counters old newspaper accounts citing Hemings as Jefferson’s “concubine." Gayle Jessup White, Monticello’s Community Engagement Officer, is a descendant of the Hemings and Jefferson families and an integral part of Monticello’s African American legacy: Sally Hemings was White’s great-great-great-great aunt. White first learned of her Jefferson family lineage as a young girl and years later, she still ponders the emotional complexities associated with Jefferson, the third president of the United States, the author of the Declaration of Independence — and an unapologetic proprietor who enslaved 600 people. “As an African American descendant, I have mixed feelings — Thomas Jefferson was a slave holder,” White said. White took the job at Monticello in July, 2016 and says her role is to help build a bridge between Monticello and the local community. Last year, Monticello, along with the National Endowment for the Humanities and the University of Virginia, hosted a public race summit entitled, Memory, Mourning, Mobilization: Legacies of Slavery and Freedom in America. It featured leading academics like Dr. Henry Louis Gates, Jr. and Annette Gordon-Reed, artists like Nikki Giovanni, activists like Bree Newsome, descendants of Monticello’s enslaved families and community members. White said the local African American community has not always embraced Monticello because Jefferson was a slave owner. On a sunny weekday this spring, Monticello tour guide Tom Nash spoke to a group of white tourists and shared stories about slavery on the sprawling Jefferson plantation. Why did some slaves want to pass for white when they were freed? Why did Jefferson own slaves and write that all men are created equal? How many slaves did Jefferson set free? Meanwhile, Hallock said the physical evidence shows that Sally Hemings probably lived a higher-level lifestyle than other enslaved people on Jefferson’s plantation. Still, her room had no windows and would have been dark, damp and uncomfortable. On July 4, Monticello will host its 55th annual Independence Day Celebration and Naturalization Ceremony. Seventy people from more than 30 countries - from Afghanistan to Vietnam – will become U.S. citizens during the Monticello mountaintop event.